The increasing pressures on health and care services are widely reported. Put simply, there are more people, and more people living with ongoing health conditions. As the NHS reaches its 70th year, the key question is, how do health services continue to adapt, not only so they are sustainable, but so they can provide even better care? As a GP myself I know that a big part of the answer lies within. Local health and care staff, and local people, are better placed than anyone to know what is best for their local area. So working together, harnessing this collective knowledge, expertise and resource to design and deliver services around the patient, is a powerful thing. I will be hosting the Innovate Stage at Expo on September 6 and co-presenting a session that will look at the move towards primary care networks and examine the power of local collaboration in delivering improved personalised care. The session will look at a case study from Wokingham in Berkshire which is one of many areas across the country where local health and care services are working together to design care around the patient. This means that patients can get to see the right health professional when they need to. It means that patients can get advice and support on managing their own health or can find out which service to turn to for their needs. It means that whichever service the patient goes to, they have records that will tell them the patient’s history, so they don’t need to repeat it over and over. Enabling this sharing and collaboration requires all the organisations in a primary care network to build working relationships and trust, creating new challenges but also opportunities. The session will include contributions from Dr Amit Sharma, GP Partner, Brookside Group Practice and Medical Director, Wokingham GP Alliance Ltd, and from Katie Summers, Chief Information Officer, Berkshire West CCG. Katie Summers will tell delegates how multi-disciplinary team meetings are an integral part of the wrap-around care offered by the Community Health and Social Care (CHASC) system to support complex patients, with input offered by multiple health and social care professionals working towards a joined-up care-plan. “Technology is central to this process. Firstly, our Integrated Population Analytics (IPA) tool helps identify frequent attenders or patients with multiple conditions through risk stratification of data from GP surgeries. Skype is utilised to allow multiple busy professionals in different sites to meet virtually for these MDTs, saving travel time but still ensuring a comprehensive team approach. Health and care professionals will describe how, across the country, they are living the vision of the best possible health and social care, wrapped around a person when they need it. Working together in economies of scale, they are not only providing better care but also improving access to more services for people in their local communities. They will also detail how this way of working has improved healthcare workers’ own job satisfaction throughout the network. The format of the session will see Dr Amit Sharma give a presentation focusing on the approach Wokingham has made to the development of Primary Care Network, examining the five ’Is’- Integration, Infrastructure, Intelligence, Interventions and Incentives. There will also be a short video from a patient who has experience of a Primary Care Network in which they share their thoughts of how it has impacted on them. Our speakers will then field questions from the audience. This is just one of many informative sessions at Expo that I think will be of huge interest to delegates at Expo 2018 being held at Manchester Central on September 5 and 6. I have highlighted a number of others that are well worth looking at. 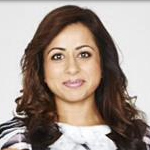 Dr Nikki Kanani is a GP in south-east London and is currently Acting Director of Primary Care for NHS England. Prior to joining NHS England as Deputy Medical Director of Primary Care, she was Chief Clinical Officer of NHS Bexley Clinical Commissioning Group (CCG). Nikki has held a range of positions within healthcare to support the development of innovative models of care, highly engaged clinical, patient and public leadership and is passionate about supporting primary care, improving service provision and population wellbeing. She is a member of The King’s Fund General Advisory Council and holds an MSc in health care commissioning. With her sister she co-founded STEMMsisters, a social enterprise supporting young people to study science, technology, engineering, maths and medicine. She has two young children.